Golfing at Riviera Nayarit means playing at one of the best and most challenging PGA category courses with the best services. 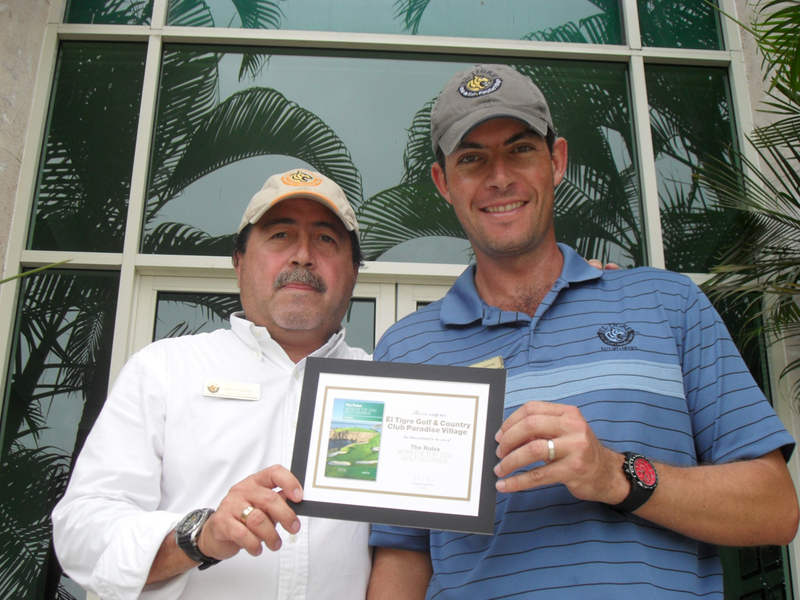 Proof of this is the fact that El Tigre Golf & Country Club at Paradise Village, located in Nuevo Vallarta, was recognized as one of the best 1,000 golf courses in the world. For the first time, Rolex, one of the brands that are closely associated to golfing events and a sponsor at the PGA Tour and the LPGA Tour (the most important tours in the world) has published its ranking of 1,000 golf courses around the world, after selecting them from a total of 35,000 courses around the world. This month, the company notified the directors of Grupo Paradise Village of the inclusion of their course in the list of the 1,000 best, and has sent a plaque that certifies this award. This isn’t the first time that El Tigre is recognized for the quality of their services and for its course design, which was conceived by Von Hagge, Smelek & Barig Design. In 2008, this course had already been classified as one of the 10 best in Mexico. El Tigre Golf & Country Club has been open for 9 years in Riviera Nayarit, and during this time it has hosted important tournaments like the Riviera Nayarit Classic of the Canadian Tour and the Riviera Nayarit Classic of the LPGA Futures Tour from the Americas Cup, as well as the Gira Negra Modelo, among many others. Riviera Nayarit has six operational world-class golf courses and another three currently under development. Our destination offers the best golfing experience for lovers of this sport, including the majestic course of El Tigre, the design of Greg Norman at Litibu, Jack Nicklaus’ at the Pacifico and Punta Mita courses in the community that bears the same name, and Percy Clifford’s at Flamingo’s, as well as the work in two phases of designers Jim Lippe and Jack Nicklaus at El Nayar Golf Club, also in Nuevo Vallarta. The Convention and Visitors Bureau (CVB) of Riviera Nayarit congratulates Grupo Paradise Village for this achievement, which undoubtedly contributes to the promotion of Mexico’s Pacific Treasure, and helps to consolidate the image of a destination where one can enjoy the luxury of golfing in an enviable natural setting with first-class services.